Juicy grille pineapple salsa with sweet and salty teriyaki sauce, bacon and candied jalapenos! 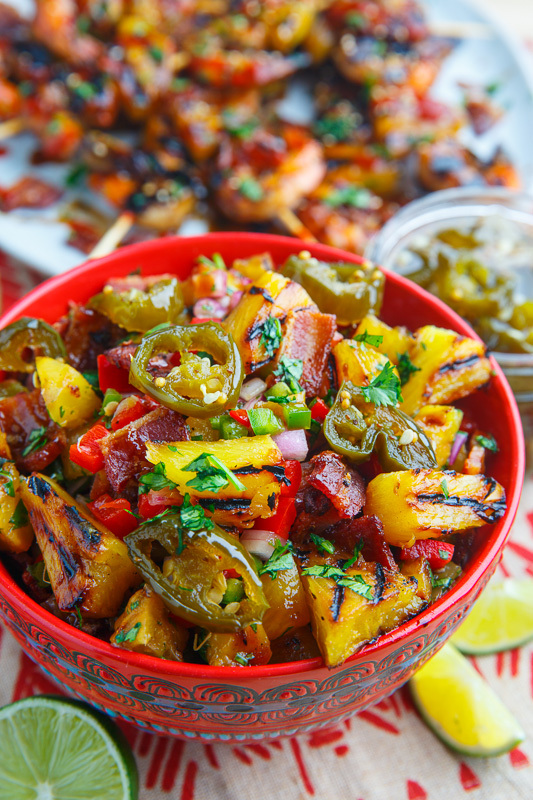 Fresh and juicy grilled pineapple salsa is so good on hot summer days! (It’s nice and refreshing whether you grill the pineapple or skip it and go uncooked!) The other day I was enjoying some fabulous grilled pineapple salsa and I could not help but think that it would be really nice with a sweet and salty teriyaki sauce! Then I was thinking that instead of using fresh jalapenos I could use candied jalapenos, which I had recently discovered and become instantly obsessed with! Of course I could not stop there and bacon just had to make an appearance since it goes so well with all of the other ingredients! 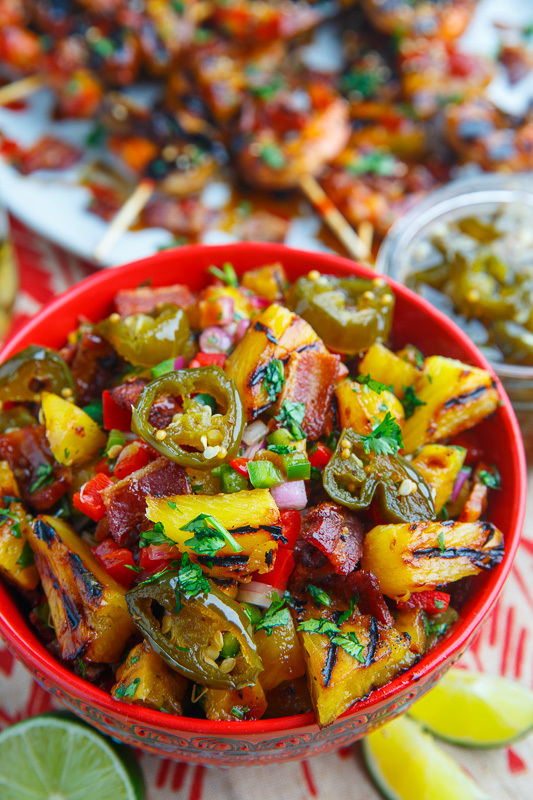 The resulting teriyaki grilled pineapple salsa with candied jalapenos and bacon is my new favourite summer salsa with all of the flavours and textures working so well together! Grill the pineapple and slice. A sweet and salty homemade pineapple teriyaki sauce. Simmer everything until the sugar has dissolved.